At The Pickle Barrel we know that planning a service and choosing a menu for a funeral reception can be overwhelming to a family and friends. Let us aid you in making this as much a stress-free time as possible by giving them one less detail to take care of. We are now offering complete menus to make your event as effortless as possible. An assortment of tuna, salmon and egg salad assorted mixed double layer sandwiches. 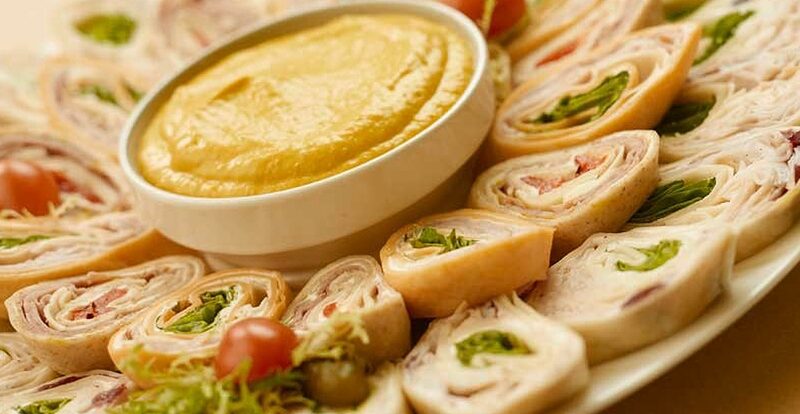 An assortment of mini flour tortilla pinwheels with a selection of ingredients. Fresh garden vegetables – cauliflower, broccoli, baby carrots, celery, cherry tomatoes, cucumbers and peppers, served with our creamy ranch dip. Cheddar, medium gouda, marble, cheese garnished with freshly cut fruit. Served with crackers. Mini gourmet cookies, mini biscotti.